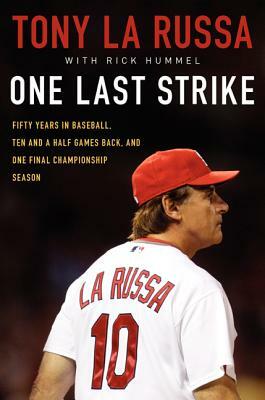 Tony La Russa’s One Last Strike chronicles his final season as manager of the St. Louis Cardinals — a season in which the team came back from a large deficit, overcoming injuries and other adversity, to make the playoffs as a wild card team and eventually win the World Series. 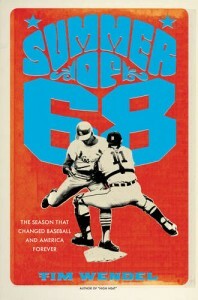 Cardinals fans will likely enjoy the book a great deal, and some baseball fans at large might find the book interesting, but other baseball fans, sports fans, or general readers may not be so keen on it. 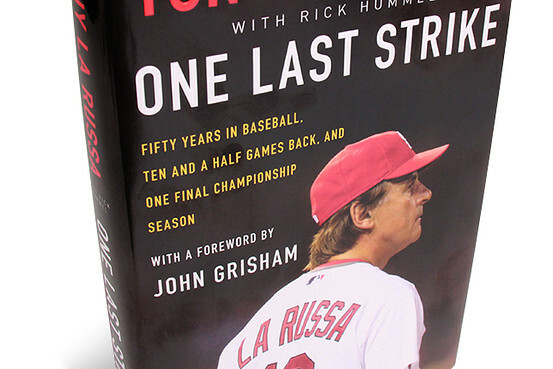 La Russa’s writing is as icy as his personality, and although he does not come across as stoic as one might have expected, the writing does not require the reader to make any connection to the quest or comeback of the team or the swan song of one of baseball’s most successful managers, or the players who played for him. La Russa had a chance to perhaps sway some in the middle who are neither lovers nor haters of his career and methods, but he really doesn’t do anything to engage anybody who already didn’t either a) like the Cardinals, or b) like him prior to the unlikely championship season. Putting aside some minor irritants such as the continuous referrals to Cris Carpenter and Dave Duncan as Carp and Dunc (I mean, if you are on a team and that’s what they go by, I guess that’s what you call them), the writing seems to truly mirror the way the author’s mind processes the world. If La Russa is the genius who all but invented the game, then it would seem that this final goodbye might include a bit more of the baseball decisions and technicalities that were part of his final run. Since the book doesn’t go there, it would seem appropriate to focus on the relationships of players, managers, and families that comprised this winning club. La Russa’s attempt at this is to convince us that this is so — that he and Dunc are tight; Carp is a big game pitcher; he sticks up for his players; he cares about them, the local organization, and the game, etc. Less telling and more showing would go a long way to help the reader who didn’t already follow this team be drawn into the storyline and the characters who made it happen. La Russa’s attempt to explain how he is the sole arbiter of which hitters deserve to get thrown in a baseball game and which ones don’t, only reinforces that he is the “Omniscient” manager — it does not convince anyone that he has the scoop on proper baseball protocol. His telling of why he chose to start certain pitchers leading up to an in the World Series is much more enlightening. His admission of a mistake in a big game is humanizing and honest. But on the whole, the book is just there. It doesn’t move anybody in any direction unless they just happen to want to enjoy and relive the unique and fine 2011 World Series. This book was purchased for the reviewer. Dave Moyer is an educator, a musician and the author of Life and Life Only, a novel about baseball and Bob Dylan. 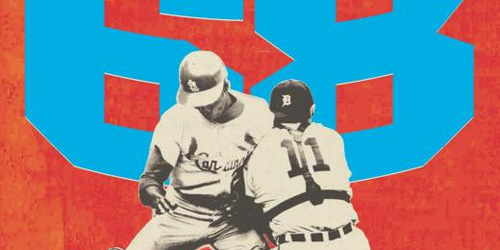 A review of One Last Strike: 50 Years in Baseball, 10 and a Half Games Back, and One Final Championship Season by Tony La Russa.